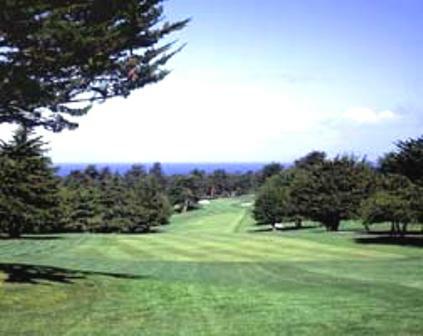 Bayonet/Black Horse Golf Course -Blackhorse, is a Public, 18 hole golf course located in Seaside, California. Black Horse was designed in 1964 by General Edwin Carnes, the Commanding General of Fort Ord from April 1963 until June of 1965. 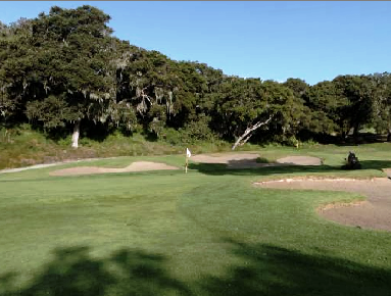 With the most breath-taking views of the Monterey Bay imaginable, the most recent renovations transformed Black Horse into a longer, more challenging "championship golf course." 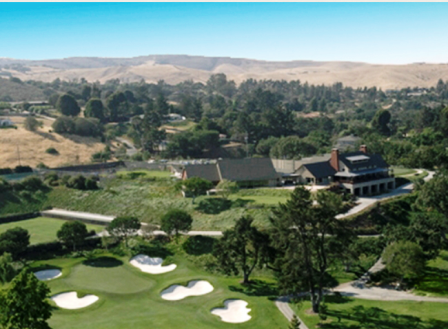 With long rolling fairways, "championship golf tees," and alluring panoramic views of the Monterey Bay, Black Horse will not only take your game through its paces, it will also captivate your soul. Black Horse is now 7,024 yards long, with four sets of tees; a par 72, with a slope of 141 and a rating of 73.7. 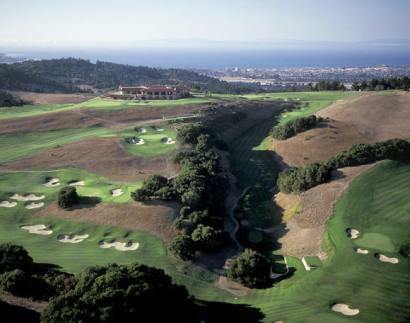 These two golf courses are the beat value and the best test of golf in California. I belong to two clubs and still drive 2 hours to play either course. The condition is impeccable and when you shoot a good round you really come away pleased. Check their website for specials Mon-Wed & sometimes on Sunday. With a weekday coupon, for $49.00 THIS COURSE IS A GREAT PLAY !!! Certainly, after the redo, one of the top 100 courses in America! Although the greens were being airrated (sp? ), I've played this course when the greens were perfect.This course is challenging but golfers would love the loop. The true challenge are the greens; Ungodly, but fun. Be ready for some three/four puts. I live in the area and the Wednesday specials ($49 plus cart) are incredible for a course of this quality. 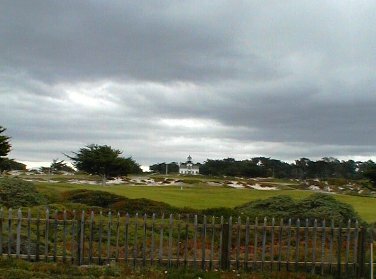 I would recommend that anyone who visits the Monterey Peninsula make sure that Blackhorse/Bayonet are on your golfing plans. Really enjoyed the facility. Was really pissed that the maintainence crew did not advises the golf shop that they were going to aerify the greens that morning. Played both Black Horse and Bayonet in the last 30 days. Black Horse is a TOUGH TRACK. The remodel of Black Horse is aging well. Fairways and bunkers are in fantastic shape. Greens are rediculous...fast and curvey. 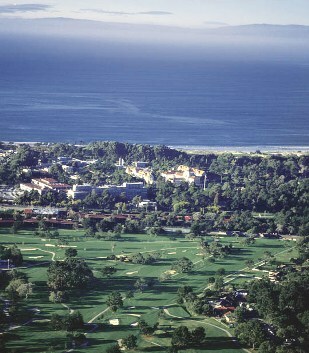 If you are vacationing in Monterey and going to play one round, I would recommend Bayonet over BH. Bayonet is tough, but fair. Your score at BH could ruin your vacation. Get on their email list and watch for specials. $75/round including cart is a steal for Monterey Bay. I would put this close to Spanish Bay at less than half the cost. Both Black Horse and Bayonet are challenging courses. The views of the Monterey Bay from Black Horse were great. It's a bit spendy but nowhere near as expensive as the Pebble Beach foursome. 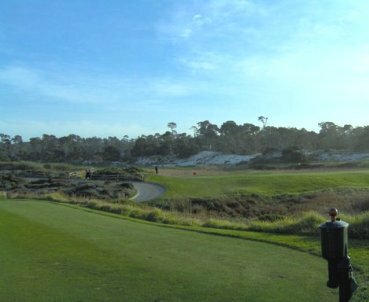 And, I would argue, more enjoyable for the money than Del Monte and Spanish Bay (though those to courses are great fun as well). Oh, and I'm a 24 handicapper. Bayonet and Blackhorse can be an *ss kicker but their layout is both fun and fair. Course was in very good condition but the greens are very fast and very difficult to hold. Many blind approaches leading to collection areas and false fronts. Perhaps after several rounds, you might be familiar enough to be comfortable. Tough track! What makes this is a very challenging course are the firm, fast and tiered greens (I think would be tough for a PGA player) Very difficult for most golfers, you absolutely have to be on the correct side of the hole. I love the course because of its layout and condition. Practice facility is better than most and staff are great. Getting out of my snack bracket for regular play, but will jump on the occassional internet special. Greens will not hold any type of shot. Speed of greens varies from hole to hole. Hole locations are selected without any consideration of a reasonable chance to stop a putt near the hole. This course was good enough to hold 2d Stage PGA Tour Qualifying at least twice before re-design. For any individual with a physical disability, playing the game is next to imposssible. I love this place. If I lived closer, my boss would find me there everyday. Nobody mentioned the practice facilities are Tour Quality. The balls are New NXTs. great short game area, etc. Views from Restaurant are awesome. This is the Working Man's Pebble Beach. Both Bay/Blk are monsters from the tips... But even Gramps can enjoy it from the whites. Hard to lose a ball, I played in 36 holes in Tourney, and never lost a ball, or had a P-stroke. Nice staff, with NO PRETENION, and great value if you book online. A great test of golf, not for the meek at heart. The re-design took a great old course and ruined it! The greens are an abomination. There is hardly one reasonable hole location on each green. What a shame. Twilight prices are running close to $80 without cart....add a cart and you are paying over $100....Need to offer specials for couples... We love playing this course and drive 2 hours to get there...our cost: After paying for golf, meals, and gas we are easily at $300/day before lodging. If we stay, that would make it at least $500/day. Not everyone is Clint Eastwood!!! I thought that they had ruined the old course but the more I play this one the more I like it.